Berkery, Noyes & Co. represents Mobeon AB in its sale to Ericsson - Berkery, Noyes & Co., LLC. NEW YORK, March 20, 2007 — Berkery, Noyes & Co., LLC, a leading independent investment bank serving the information and technology markets, announced that it represented Mobeon AB, the world’s leader in IP-messaging components for mobile and fixed networks, in its sale to Ericsson (NASDAQ:ERIC). Mobeon’s IP-based voice and video mail are the key elements of Ericsson’s Enriched Messaging solution, which in turn is a cornerstone of its multimedia strategy. Terms of the transaction were not disclosed. Jan Wäreby, Senior Vice President and Head of Ericsson’s Business Unit Multimedia, says: “Voicemail is one of the most used messaging services by consumers and Mobeon is bringing us the latest IP generation messaging system prepared for both voice and video mail”. 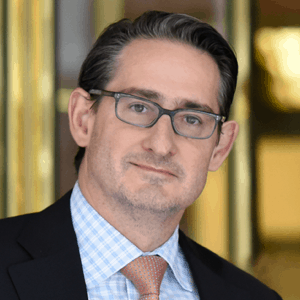 “This acquisition is an important part of our networked media and messaging strategy. The combination of Ericsson and Mobeon’s technological innovation will allow operators to offer an enhanced multimedia messaging experience to their customers”, he adds. Mobeon produces the key component of Ericsson’s Messaging over IP (MoIP) solution – an IP-based voice and video-mail solution for telecom operators. The largest MoIP installation has more than 26 million mailboxes, making it the largest IP-based voicemail system in the world. 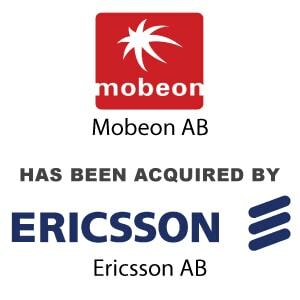 Mobeon has 130 employees in Sweden and the UK; all will be integrated into Ericsson’s multimedia division. Berkery, Noyes & Co., LLC acted as exclusive financial advisor to Mobeon AB. Berkery, Noyes is actively involved in mergers & acquisitions transactions in a variety of enterprise and infrastructure technology sectors including, among others, mobile messaging and data services, enterprise content management, business intelligence, financial and trading technology, enterprise applications, Internet/Web 2.0 and information security. Mobeon is a leading global telecom software provider focused on maximizing messaging revenue through providing specialized, next-generation software, to tier-one telecom vendors. Mobeon’s CompEdge messaging platform provides flexible tools for a range of different services that include voicemail, video mail, SMS, email and multimedia messaging. Built on open standards and architectures, the CompEdge IP-based messaging platform enables operators to analyze, design, test, alter and launch new messaging services more efficiently and faster than before. As the world’s leading provider of IP messaging software, Mobeon is embedded into many of the industry’s leading messaging solutions. For more information, visit www.mobeon.com. Ericsson is shaping the future of Mobile and Broadband Internet communications through its continuous technology leadership. Providing innovative solutions in more than 140 countries, Ericsson is helping to create the most powerful communication companies in the world. Read more at www.ericsson.com.